During the slow recovery in the housing market, many community associations are taking more aggressive approaches with foreclosures and rentals to recover delinquencies and gain financial strength. These associations are using their lien rights in order to avoid the issues that arise with bank delays in foreclosure cases, as delays have become the norm in the aftermath of the recent robo-signing scandal, foreclosure moratoriums and related mortgage foreclosure crisis. By employing aggressive strategies with foreclosure properties in their communities, associations are recouping much of their past-due assessments, if not all, oftentimes prior to the bank completing its foreclosure. These collections are far in excess of that which many associations would have recovered had they simply waited for the foreclosing lender to complete its case and take title to the property through judicial sale. The strategies employed by these associations involve working closely with their attorneys and managers to properly evaluate lender foreclosure cases, assess the condition of subject properties and ownership interests, and develop a cost-effective streamlined course of action to maximize the association’s recovery. If delays are present due to a slow-moving bank, the associations and managers are working with their counsel to quickly obtain a foreclosure judgment for unpaid association fees. The judgments then go through the public foreclosure auction process, and associations will either recoup the indebtedness from third-party purchasers or, more likely, they will acquire title to the foreclosed property subject to any existing encumbrances. After title transfers, associations can either list the property for rent or sale, subject to the association’s governing documents, but the process is different from a typical lease or sale. For leases, associations, as owners, should work with their counsel to ensure that the lease terms comply with the leasing restrictions and requirements set forth in the community’s declaration and by-laws, as leases for association-owned properties are not exempt from tenant screening procedures, minimum lease terms and other provisions contained in the association’s governing documents. In addition, appropriate disclosures should be included in the lease agreement regarding the superior mortgagee, unpaid real estate taxes, and other issues which may affect the tenant’s interests in the leased property. Such disclosures will protect the association against potential claims by the lessee if the property is subsequently sold through a foreclosure auction or tax sale. 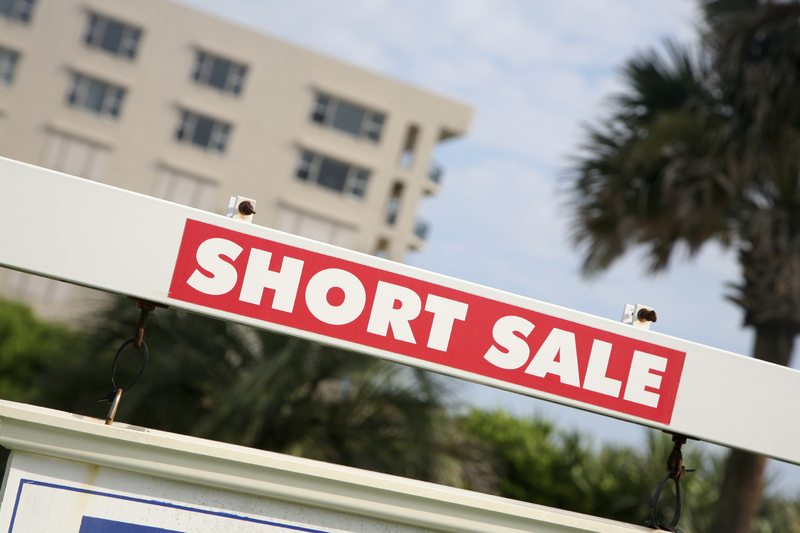 Another option that is becoming increasingly popular among community associations is negotiating a short-sale with the lender. This requires teamwork among the association, its manager, counsel and other parties involved. It also entails added legal expense associated with contracts and negotiation, but the end result can be well worth the effort. Generally, the first step is for the association to engage a real estate agent to begin listing the property and obtain a buyer. The executed purchase and sale agreement will then be presented to the lender for approval, and the former owner may also need to be involved in the transaction because many lenders are only willing to approve a short sale if the former owner is identified as the seller. If the parties can finalize an agreement, it is a win all around, with the association recovering the past-due assessments under the terms of the short-sale and also benefitting from a new owner in the property who will start paying monthly association fees moving forward. Whether an association desires to lease or sell the property, the association should always consult its counsel prior to signing a listing agreement or other contract. Oftentimes, addendums will need to be drafted or contracts will need to be revised so they are suitable for the association’s use and execution. The recovery in the housing market is indeed moving slowly, but the community associations that are working closely with their managers and counsel to employ these strategies are making significant strides toward solid financial footing.